I never would have met Vaněk if I hadn't visited the Museum of Communism. 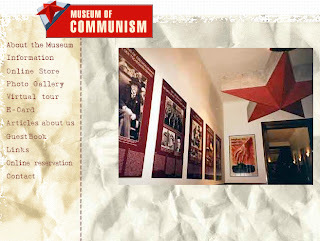 "Not the Communist Museum," the woman assured me when I asked her if the entire Communist juggernaut had been reduced to flags and statues in a second-story museum in Prague. 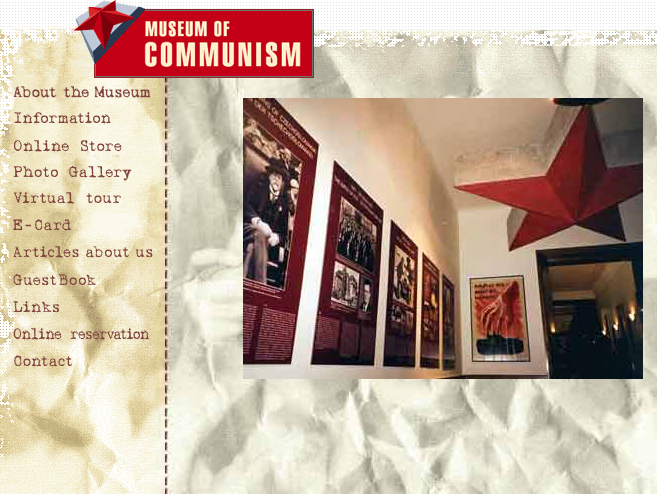 "It's the Museum of Communism, and it concentrates on the history of Communism in Czechoslovakia." On the way home from the museum, which I didn't actually enter because the cost was greater than zero, I noticed a sign reading "Divadlo v Celetné." Knowing that Divadlo meant "theater," I exited the cold, snowy outdoor city and entered the warm lobby of the theater. 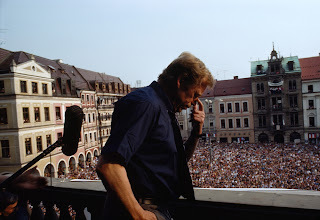 In 1989, I had written a little one-act play about playwright-turned-politician Václav Havel. The play was titled The Eden Game, and it was produced by the Senior Repertory Company at S.U.N.Y. Purchase in March 1991. Eight years later in Siena, Italy, I read a full-page article in the Wall Street Journal about Havel's new wife, Dagmar Veškrnová. It seemed the playwright had married an actress. This was of course perfect material for a second act for The Eden Game, an act I had never planned to write. I wrote the second act walking up and down the ancient streets of Siena. In the first act, the problem had been the iron boot of Communism. In the second act, it was McDonald's, globalism, the corporate takeover of the world. 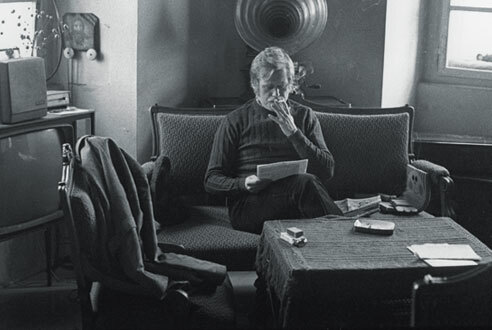 Havel's obstinate authenticity had allowed him to win against the Communist machine. How would he, now president of the country, fare against Twix, McDonald's, and Coca-Cola? There was also the romance problem. For Havel, a philosopher as well as a playwright, romance didn't come easily, although women were attracted to him and by his own admission he did not like to be alone. Olga Šplíchalová was his first wife, and they were married for forty years. 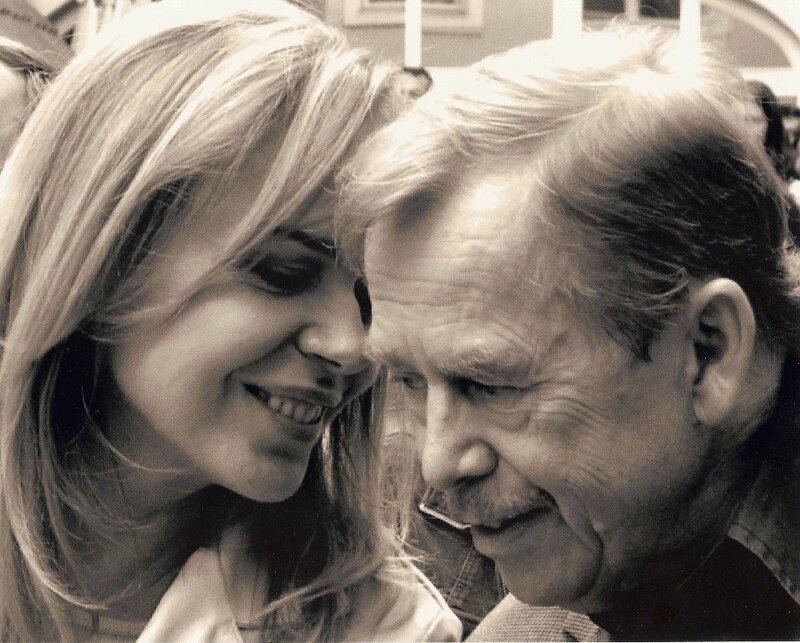 After Olga's untimely and nationally mourned death from cancer, Havel married again, 11 months later. "I have not married Dáša [Dagmar] to replace Olga," Havel assured the nation. 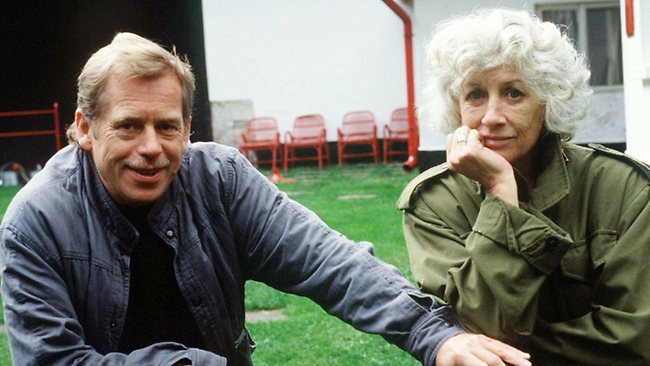 What in fact was the relationship between Dagmar and Havel? In 1999, I contacted several theaters in Prague about the play's production and was met with a brick wall. I desperately wanted Havel to see the play produced in his native tongue in his native land, but it was not to be. Havel died December 18, 2011. 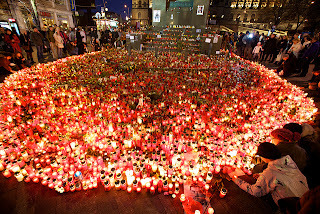 I arrived in Prague two weeks after Havel's death. 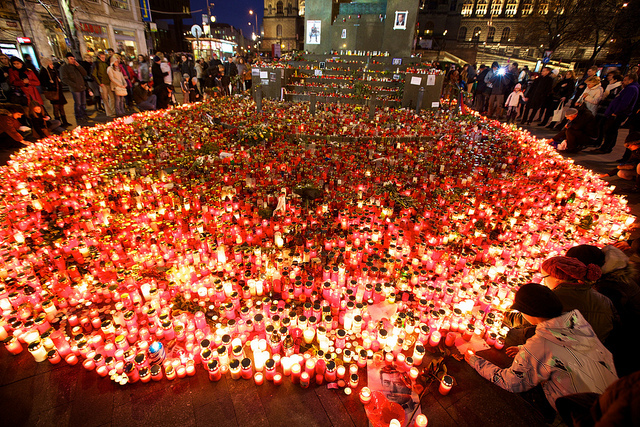 On several cold nights in January 2012, I stood at his spontaneous candlelit memorial in Wenceslas Square and genuinely missed him, though I had never met him. From 2000 to 2012, I had sent query letters regarding The Eden Game to many theaters in Prague, as well as to theaters in the U.S. and Spain (the play had also been translated into Spanish). During those 11 years, I never received a reply. I had written the three main theaters in Prague twice (the National Theater three times, the third time having been three days before) and received no reply. 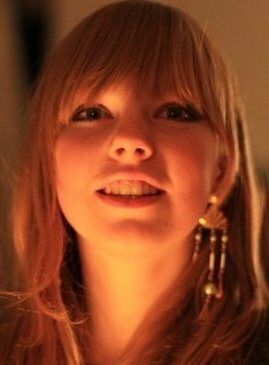 Now I was walking the wet snowy nighttime streets of Prague in search of . . . what? Many things, one of them being a theater to produce a play that had had only one student production (of half of it) in 20 years. Upstairs in Divadlo v Celetné, I felt an immediate warmth, a feeling of being in a truly artistic space. I stood in the lobby and drank in the good vibrations. A performance was going on. In fact, one of Havel's plays was onstage: Audience. 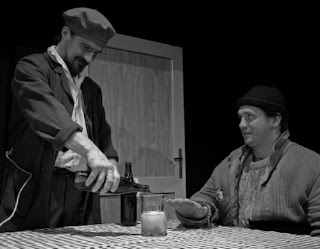 In this play, there are two characters: Vaněk and the Brewmaster. The play is based on Havel's experience working in a brewery after the Communist regime forbade him working in the theater. ("Vaněk" is Havel.) For some reason, after the initial production of Audience, several other playwrights began to write about the character Vaněk . . . and a (fictional) legend was born. Karolina the Coat Check Girl . . .
. . . told me that Jan Potměšil was playing Vaněk, that night. 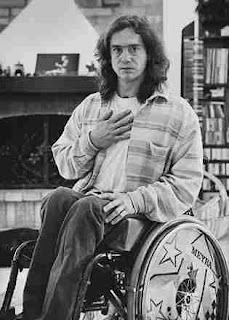 Jan is an actor well known throughout the Czech Republic. Jan Potměšil (right) plays Vaněk in Havel's play, "Audience"
I told Karolina about my play, and she said she could introduce me to Jan after the show, although she wasn't sure he spoke English. But she assured me she would translate for me in any case. With Karolina's wonderful translation help, I spoke with Jan after the show, and he agreed to read the 1999 Czech translation of the play. Havel had visited Jan in the hospital when Jan had been in a car wreck on an icy road in the time of the Velvet Revolution, and they had become friends. Jan said he would be honored to read a play about Václav Havel. I had recently completed a short film about Havel called "Waiting for Vaněk." 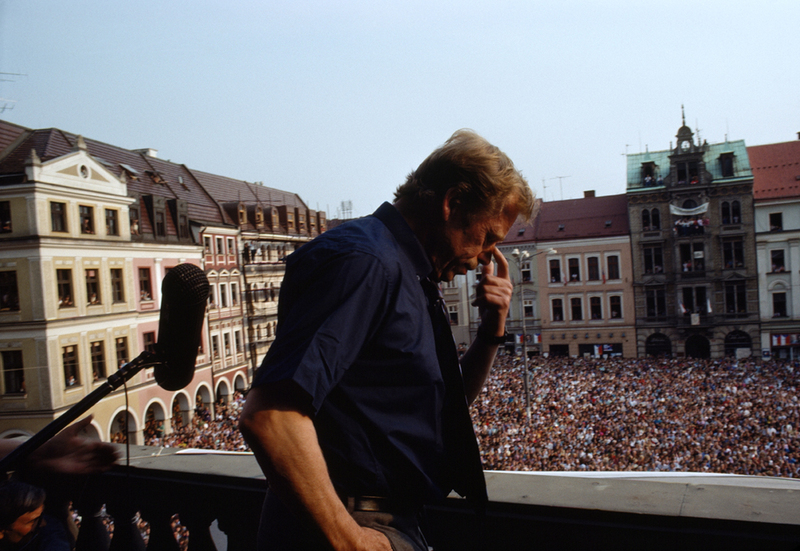 In the film, the unnamed, unseen main character waits for Havel's character, Vaněk, at Havel's real-life memorial. He does not find Vaněk. But on the way home from the Museum of Communism, I found Jan Potměšil, an actor playing the character of Vaněk, in a beautiful theater on a snowy night in Prague. Jan is currently reading the first act of the Czech translation of The Eden Game.